Clearlake Capital Group will acquire provider management, credentialing, and payer enrollment technology vendor Symplr. Terms were not disclosed. Symplr acquired Cactus Software (provider management) in early 2016 and Vistar Technologies (provider management) in mid-2017. 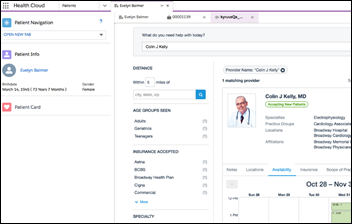 Kyruus lists its ProviderMatch for Salesforce on the Salesforce AppExchange and announces a $4 million Series D investment by Salesforce Ventures, increasing its total to $76 million. 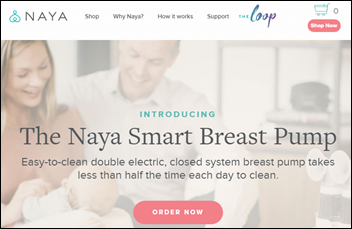 CNBC reports that Silicon Valley-based, VC-backed smart breast pump startup Naya Health — whose CEO had blamed the company’s sluggish start on the male-dominated VC industry despite what she claimed is a $30 billion market opportunity – has apparently shut down and left customers without support for its $1,000 device amidst complaints from some of its users that it does not work. The company that was hired to auction the assets of the defunct CareSync asks the court to expedite a $1 million sale to risk adjustment technology vendor Vatica Health, requesting via an emergency motion to finalize any and all bids by November 5. CareSync had raised $49 million before closing abruptly in June 2018. 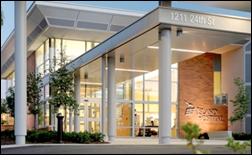 Island Hospital (WA) replaces its existing electronic signature product with that of Access, integrated with Meditech. Divurgent hires Gary Germaine (Leidos Health) as VP of client services. Mordecai Kramer (Baim Institute for Clinical Research) joins Carevive Systems as VP of data generation and outcomes, life sciences. Medtronic co-founder Earl Bakken, who created the modern medical technology industry with the company’s introduction of the first implantable pacemaker in 1960, died Saturday at 94. The former electronics repairman founded the company with his brother-in-law, working from a Minneapolis garage to offer hospital equipment repair and TV installation. Denver Health Epic Data Architect Mark Iannucci publishes Epic UserWeb Search on the Chrome Web Store, which allows search terms prefaced with “uw” to search UserWeb or those starting with “uw sherlock” to find occurrences in Sherlock logs, all while skipping the Galaxy screen (assuming you’re already logged into Epic UserWeb and are using the Chrome browser, of course). 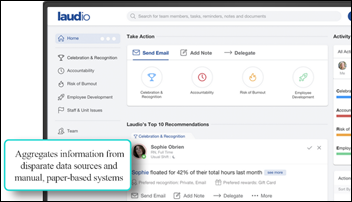 Laudio releases its staff relationship management platform that allows hospital managers to manage employee recognition, accountability, burnout risk, onboarding and career development, and work issues. The founder and CEO is industry long-timer Russ Richmond, MD. A White House-proposed rule would not only push “junk” health insurance plans (short-term and association health plans) that potentially contain extensive exclusions, it would also encourage employers to offer healthcare imbursement arrangements that give each employee a fixed dollar amount with which to purchase their own insurance, which the administration acknowledges would reduce the number of insured people. All of the new recommendations would support states offering plans that are not ACA compliant in such areas as pre-existing conditions and lifetime payment limits. A New York Times article provides advice from chronically ill people on how to make best use of the US healthcare system (or more precisely, two ways to do that plus two suggestions for bypassing it in favor of getting informal personal advice). Researched published in JAMA finds that use of medical crowd-funding campaigns is growing, people often ask for money to obtain treatments that are not evidenced-based or that may be harmful, meaning those who donate are helping line the pockets of practitioners who are delivering questionable care. AdvancedMD will exhibit at the American Academy of Ophthalmology event October 27-30 in Chicago. IDC MarketScape names Arcadia a leader in its assessment of US population health analytics vendors. TMC names Atlantic.Net a 2018 Cloud Computing Security Excellence Award winner. Bluetree will exhibit at the CHIME CIO Leadership Academy 2.0 October 29-30 in San Diego. Appreciate you highlighting my comment Mr. H., but to split hairs, I called for “Congress or Trump” to get to the bottom (not just Congress). In the end, all Congress can do is make people sweat and stammer. The chief executive is the one who’s accountable to get it done and has the actual power to get it done. No political overtones should be read into this complaint. It’s a bad decision and bad execution by the Obama administration compounded by good money after bad (and further failed execution) in the Trump administration.